Poetry lesson plans don’t have to only be collected and taught in April, during National Poetry Month. 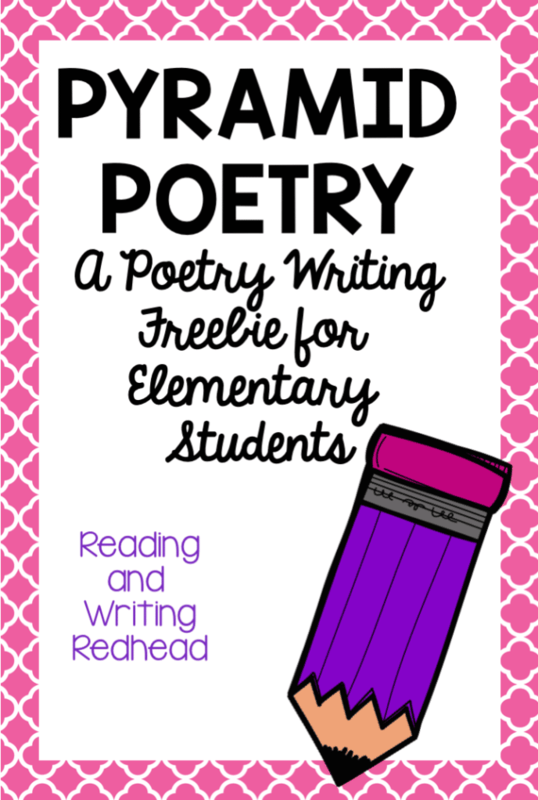 Having resources to teach elementary, middle, and high school students about poetry all year long is the best way to practice those skills. 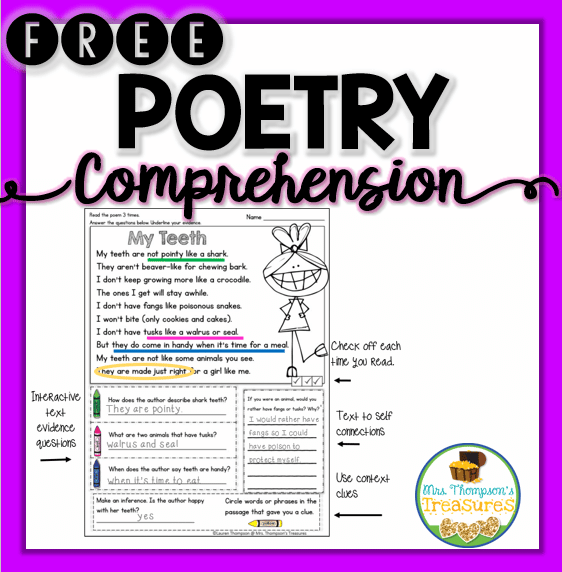 Teaching poems , whether out loud or via printable worksheets, can be super fun with these free templates below! Check them out and let us know how they worked with your students too! 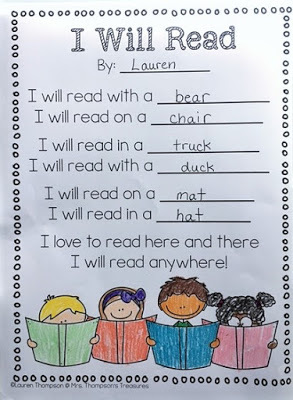 Free “I Will Read” Poem Template: A wonderful way to talk about rhyming words, this simple worksheet allows students to brainstorm one-syllable options to fill in the blanks. 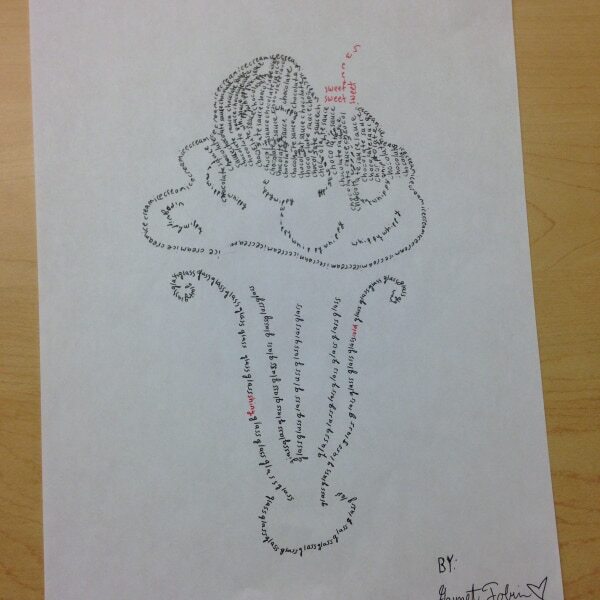 Poetry Fun any Time of Year! 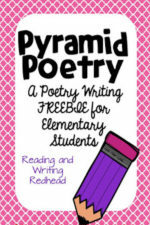 : For intermediate students who have a good grasp of different word types, such as nouns, adjectives, and so on, these pyramid poems are a fun way to showcase those skills! 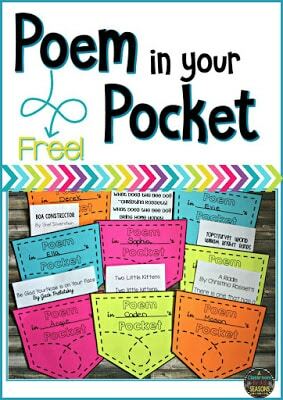 Nursery Rhymes: How to Use Them to Teach Reading: Love, love, love these free mini-books for learning poetry from the ground up! 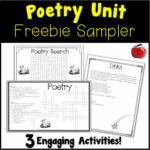 Free Poetry Activities: What a great sampler pack that allows older students to learn more about poetry origins and important facts via familiar formats, such as word searches and crossword puzzles. Free Poetry Reading Fluency & Comprehension: Literacy comprehension and poetry together? That’s a double win in my book! 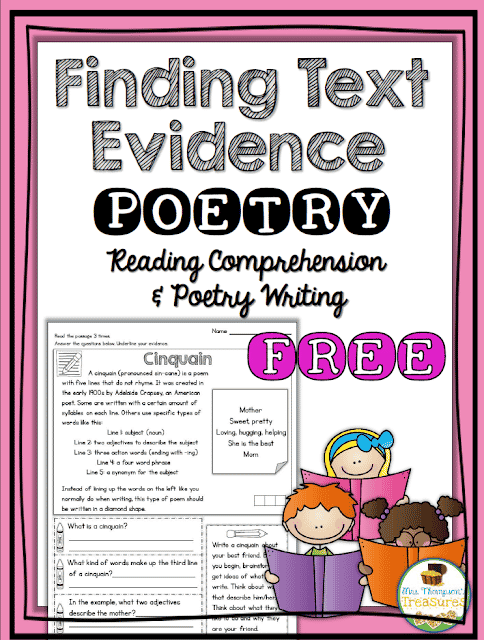 This super helpful download has text to self connections, interactive text evidence questions, and context clues to assist children when decoding poems. Those skills will translate to other types of reading sources as well. 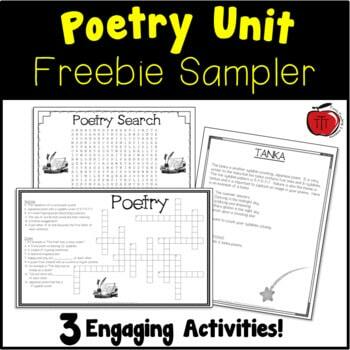 Poetry Elements Game: Any time you include a fun element, like a game, into your lesson plan, you will get far more engaged learners. Check out this awesome option! Shape Poems: An amazing resource for older learners: using simple image drawings to create poems in the shape of something relevant to the work. These are so creative! 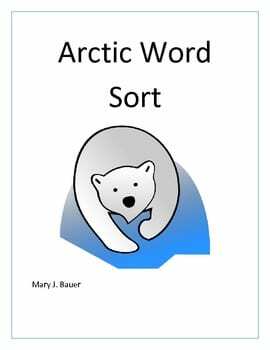 Poetry Using Content Vocabulary — Arctic Animals: Integrating science and literacy lessons certainly makes it easier to get all those ever increasing standards covered. Free Poetry Reading Comprehension & Writing Activity: Cinquains are one of my favorite types of poetry to teach! Check out this freebie printable to steer students in the right direction as they are learning about them for the first time. 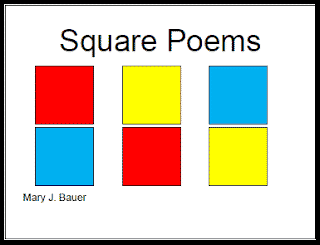 Poetry Month: Write a Square Poem: What are square poems? Check out this post and free download to find out for yourself. Quick and Fun Poetry Pattern! : Normally we only hear about haikus as a form of a multi-line poem. But pensees are another option that tend to get overlooked. Check them out here and grab your free worksheet for students too! 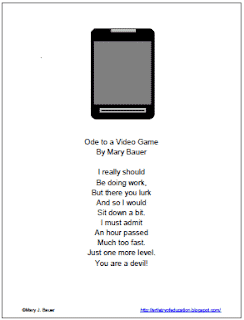 Poetry Month: Ode to a Video Game: How can students NOT be interested in anything gaming related? 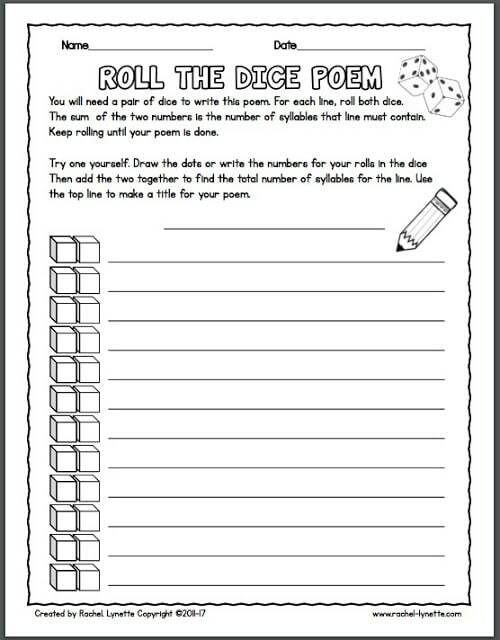 Celebrate National Poetry Month with this Roll-the-Dice Poem Activity! : Love that you can use a fun tool, such as dice, to create an original writing. Practicing syllable writing has never been more interactive! Poem in Your Pocket: Adorable. No need to say more. 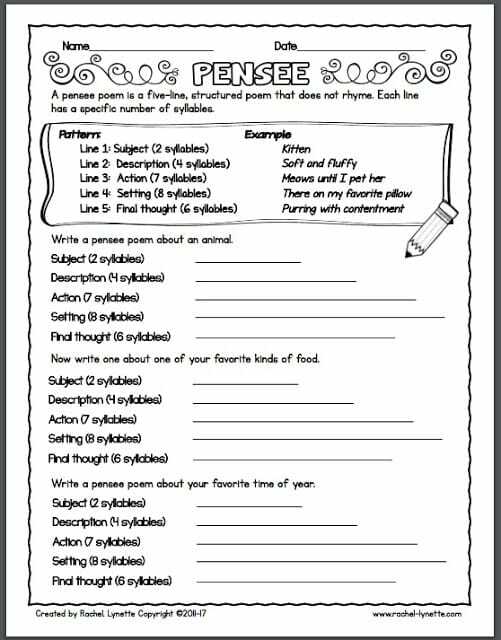 Using poetry lessons throughout the year increases reading comprehension, understanding of syllables, and rhyming concepts that cross over into other subjects too. Need even more poetry lesson planning choices? Visit the poetry category right here. Please make sure to thank each of the authors when you download their freebie, whether that is on their blog, leaving feedback on their TpT store download page, and/or following them on their social media channels. They each took their own time away from their families and their own money to pay for clip art and fonts to make this for you – your support is appreciated!